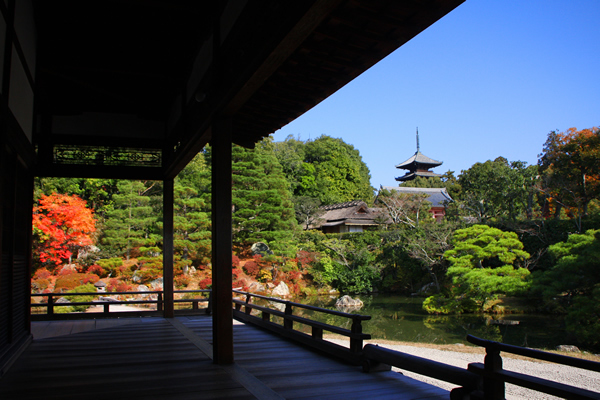 We would like to suggest a pleasant day tour of the three World Heritage Sites in northwest Kyoto. 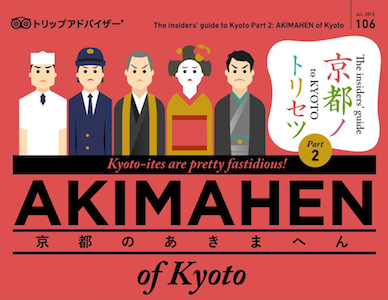 Follow the plan below to get from Kinkakuji to Ryoanji and then on to Ninnaji, allowing about an hour and a half to take in the sights at each location. Accessing the temples is as easy as hopping on the bus that shuttles between them for a four-minute ride. * That should leave plenty of time to use the Lunch Map restaurant guide to plan a mid-day meal and recharge your batteries between visits. 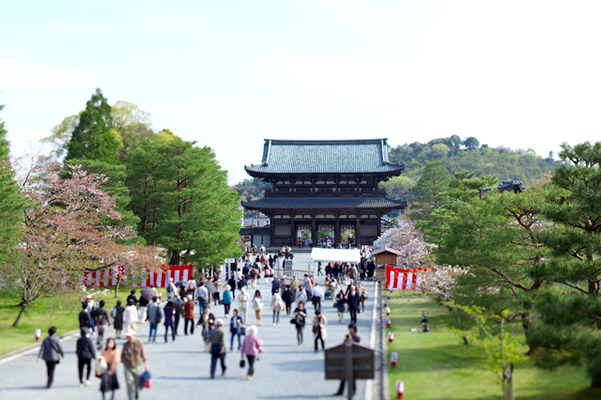 This self-tour is designed to let you catch everything you need to see at the temples, enjoy a great local meal, and still get back by nightfall. 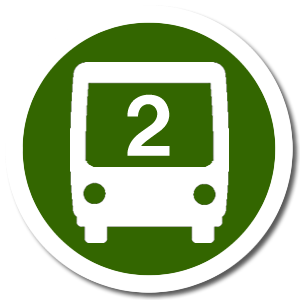 * Be careful not to take the No.12 bus from outside Kinkakuji, as it doesn't go as far as Ryoanji! It can be pleasant and invigorating to get from temple to temple on foot, but bear in mind that the course runs through slightly hilly terrain at the foot of a mountain, so be sure to wear comfortable walking shoes. Of course, you will need to do lots of walking across expansive grounds once you arrive at the temples, so you may prefer to save the energy for that and take advantage of the bus that runs between the sites at 10-15 minute intervals. 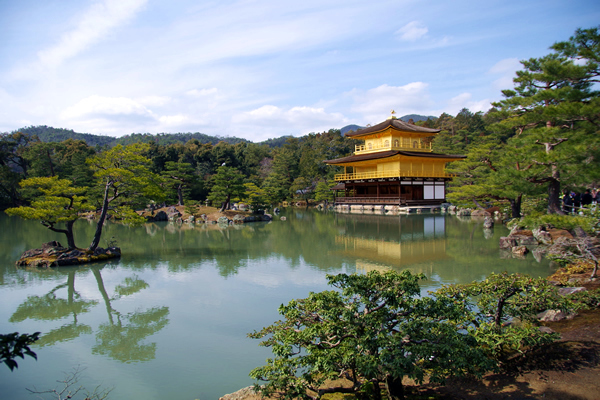 The day tour starts from Kinkakuji. Please refer to the Access Map webpage for transportation options to get to the starting point. 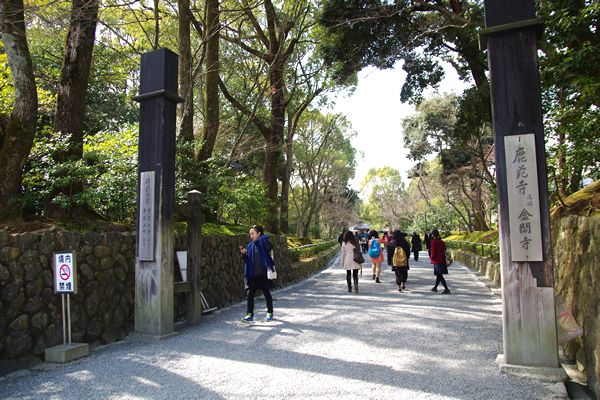 Note that the course we are suggesting here runs from Kinkakuji and ends at Ninnaji, but it’s perfectly fine to go in the opposite direction. 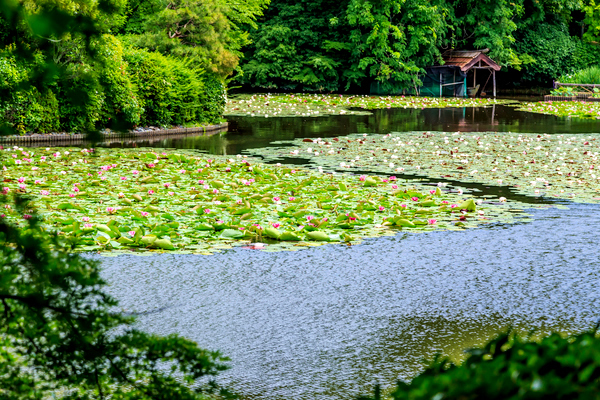 In fact, if you are coming to the area from the Arashiyama district, which is closer to Ninnaji, we would recommend that. 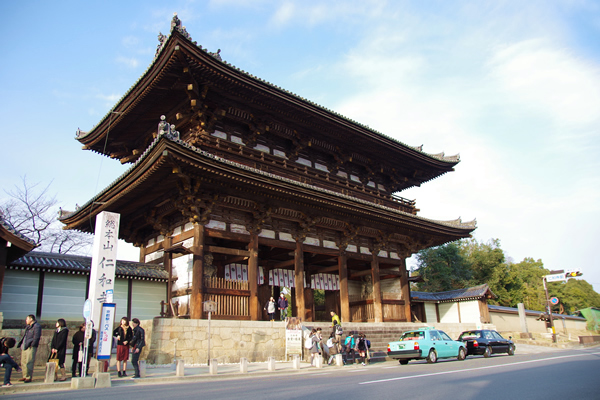 The celebrated structure with the gold leaf exterior built by Ashikaga Yoshimitsu is an example of iconic Muromachi Period architecture. 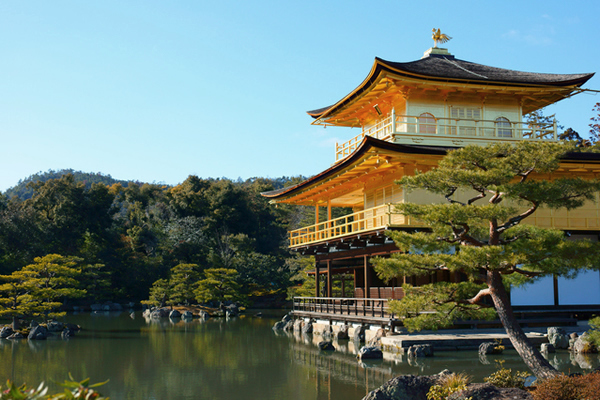 Unfortunately, the Golden Pavilion can only be viewed from the exterior, as visitors are not allowed inside. 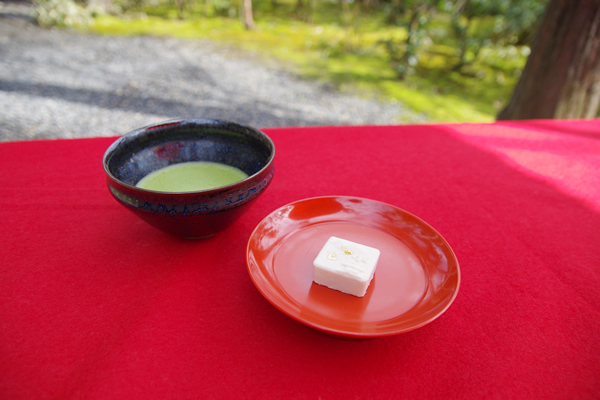 Guests who stop in for a rest can enjoy a bowl of dark green matcha tea served with a special Kinkaku Cake, available only at the temple. The charge is 500 yen for the set. 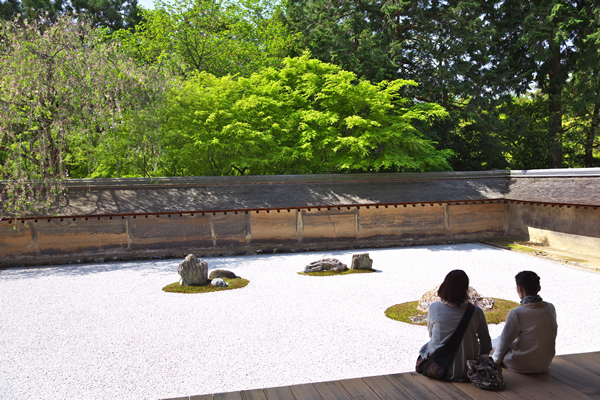 Look out over the famous Zen rock garden from the veranda of the hojo, the residence of the abbot of the monastery. 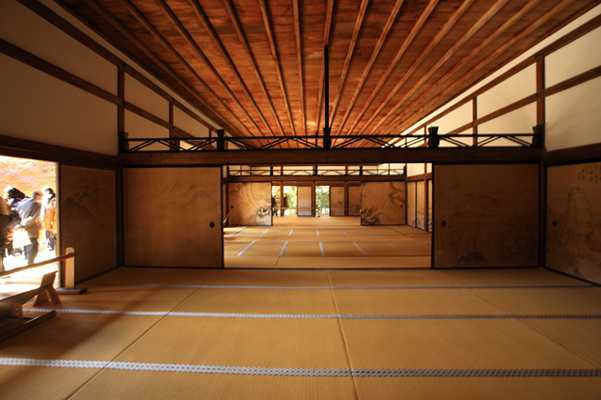 It can be the perfect place to get lost in Zen contemplation. 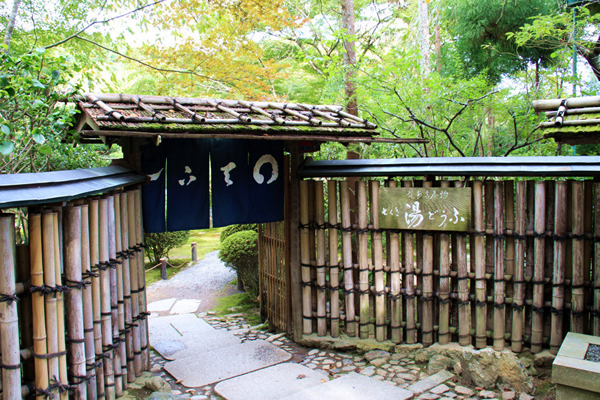 Seigenin is a restaurant on the temple grounds, operated by the sub-temple of the same name, serving soy-based dishes. 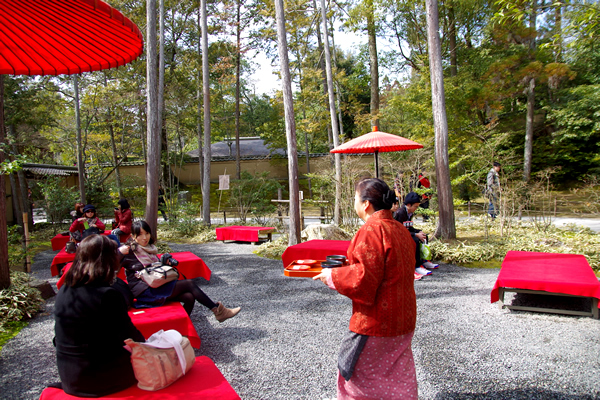 For a true Ryoanji experience, try the shojin ryori dishes, the vegetarian cuisine that Buddhist priests themselves eat as part of their devotion. The Goten residence hall complex rises up in palatial grandeur, set apart from the world in still silence. 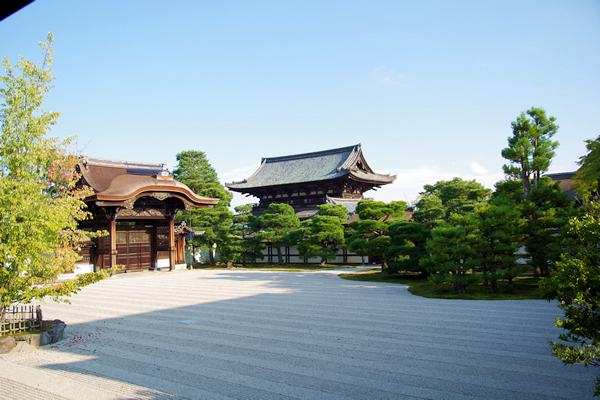 Standing in the magnificent presence of the Goten can make a visitor feel like a member of the Imperial family in the Heian Era. 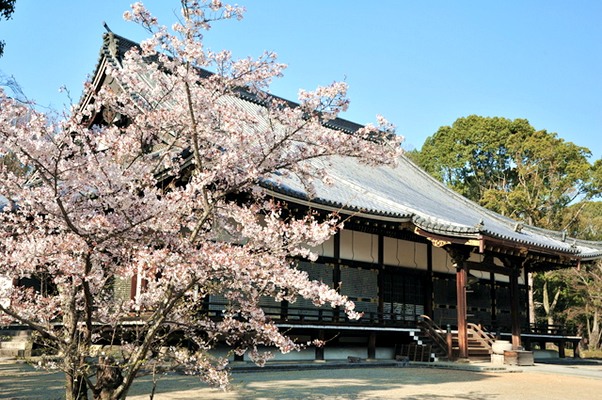 The approach to the Main Hall is always a nice walk, but it’s especially worthwhile during the spring cherry blossom season and when the leaves turn their autumn colors. 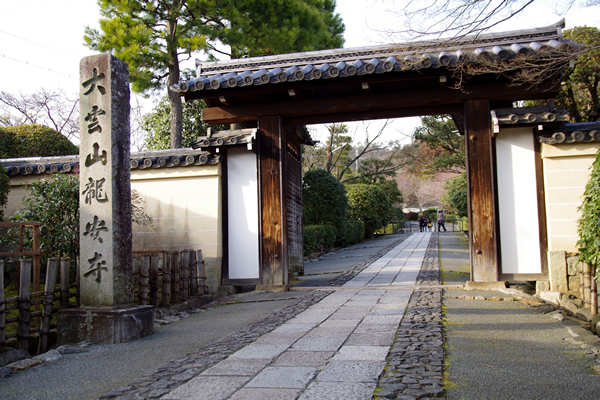 On the way you will be see the famous Five-Storied Pagoda and the centuries old but still functional Kannon-do Hall. 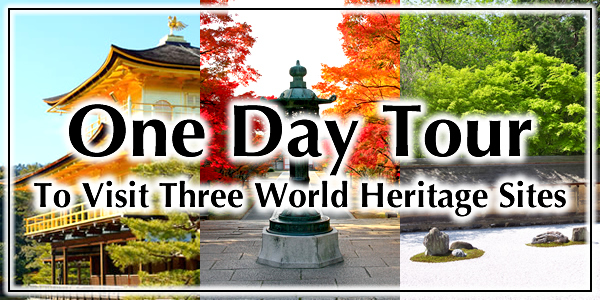 This completes the day tour of the three World Heritage Sites along the Kinukake-no-michi road. We hope you had an enjoyable day.